Want to help shape our future? CounterPulse is looking for new members to join our Board of Directors who want to contribute their passion and vision to the organization. 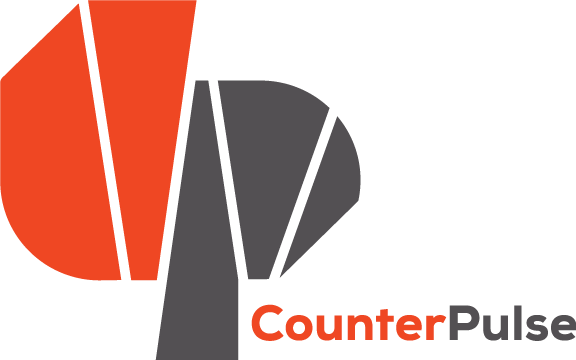 CounterPulse is unique in that it combines the vibrancy and energy of a small arts organization with the professionalism of a much larger institution. Consequently, board meetings are warm, convivial, and enjoyable, while also being extremely efficient. Each board member has the opportunity to utilize their creativity and skills to serve the organization, while receiving the support and guidance of a highly professional staff. Board participation includes both “big picture” thinking and “hands on” work, and there are many opportunities for members to engage with the organizations and the artists that we support. Board members represent CounterPulse to the community– sharing information about our programs and events, attracting new supporters and donors. They also represent the community to CounterPulse — ensuring that multiple perspectives are recognized, and that the organization is constantly responsive to the constituency it serves.